i caught a hummingbird a couple weeks ago with a tupperware container and a children’s book called Fox Makes Friends. I also vowed to be better prepared for the next time a hummingbird flew into our house. I didn’t think it would happen again so soon. My photo quality actually went down dramatically, since I didn’t even try to take a pic. but it wouldn’t have been a good shot anyway, what with it banging it’s head against a window and all. But I did improve my technique. This time, instead of boring tupperware, I used an empty rainbow sherbet tub. and instead of Fox Makes Friends (an excellent book), I used Enemy Pie. 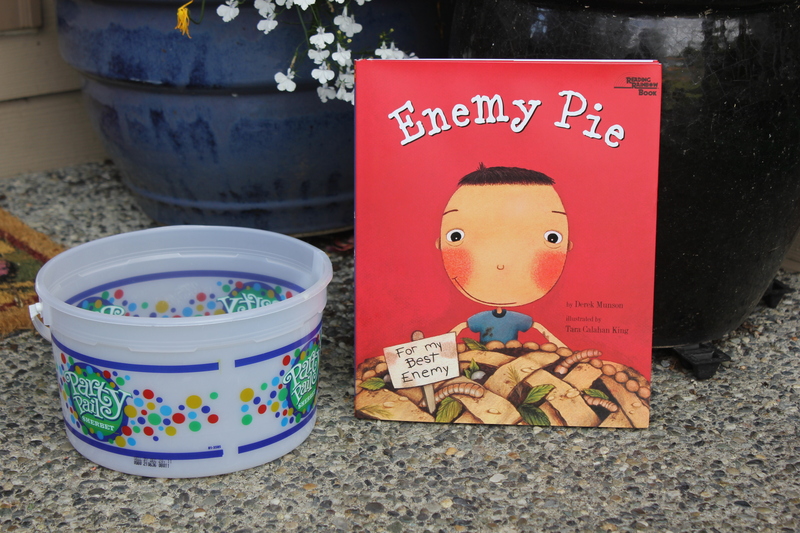 Now, when I go to schools to talk about my book, I can talk about how Enemy Pie is literaturely a life saver. Yesterday a hummingbird got stuck inside our house. photo op! 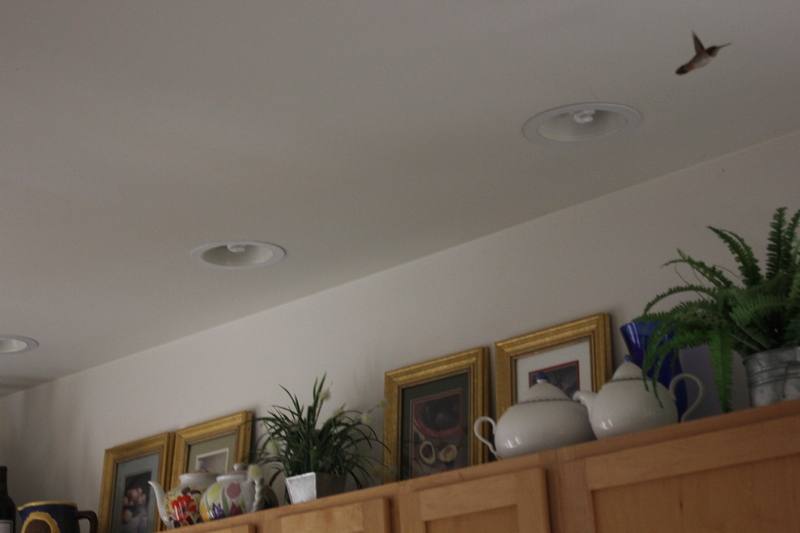 I wanted to get the perfect shot of the little guy sticking his beak into one of the fake flowers on top of the cupboards in the kitchen. you know- just like on the box of my fancy new supercamera. I chased the hummingbird around the house for 5-10 minutes. but he was so freakin’ tiny that when I zoomed in too far I would miss him completely, and when I zoomed out he looked like a speck. Bummer. The next time a hummingbird flies into our house, I vow to be better prepared. Hummy got tired and went upstairs and rested on the smoke alarm. 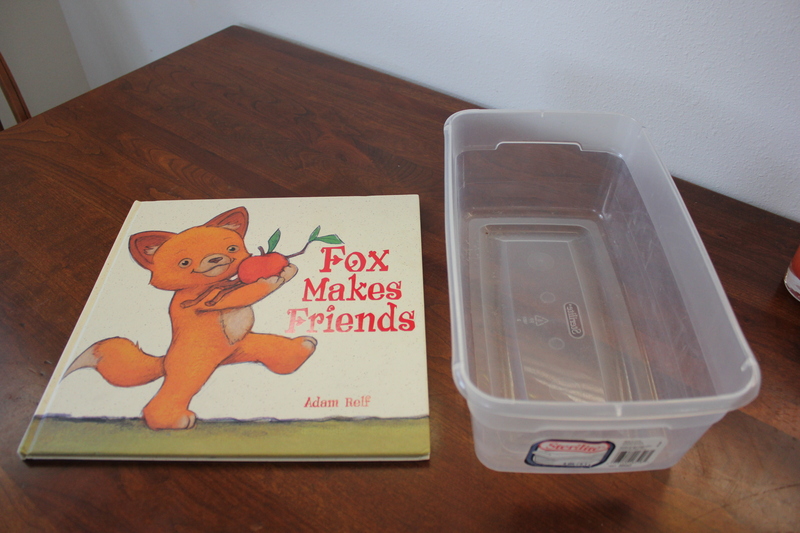 I got a tupperware container and an excellent kids book called Fox Makes Friends by Adam Relf. Then I took the book, smacked that tiny bird down to the ground, and scooped him up into the tupperware. Juuuust Kidding. That’s not what happened. I trapped him in the tupperware on the ceiling, slid the book over the top to cover him up, then heroically marched down the stairs and watched him fly away into the woods. It was awesome! the moral of this story is this: children’s books save lives.